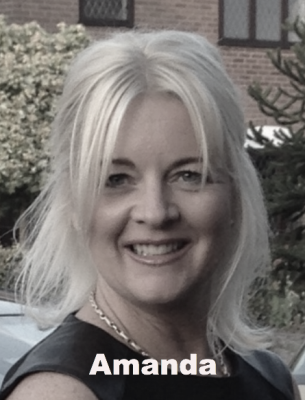 Amanda recognises that everybody is different and it is a fundamental part of her approach to listen to clients and tailor services to their specific needs. An understanding of just how important your looks are and to this purpose she continually update her skills, seeking the best quality products in order to offer a comprehensive range of high quality treatments providing you with outstanding results. At Aroma our priority is to ensure that every client leaves looking and feeling their best. Our team of professional Beauty Therapists are the best in their field. You will receive a warm welcome from the moment you arrive at the salon. Throughout your visit you will enjoy expert care and attention from every member of our team who are dedicated to making your visit memorable in every way. Please a 24hr cancellation period on all appointments. Regreatably a 50% charge will be asked for. At Aroma we embrace every system and product that will benefit our clients. We are proud to offer the very latest equipment and treatments, these include: Nouveau Contour Permanent Cosmetics; Crystal Clear Microdermabrasion for the face; AW3 Laser Tattoo removal, Black Carbon Facials, IPL Hair Reduction, Environ Skin treatments, Gelish nails and foot care, ST tropez Tanning. Forever face Massage and Body treaments. We are also stockists of Environ Crystal clear and Forever skin care skin care, Lily Lolo and Jane Iredale make-up. We constantly work in many different ways to maintain the high standards our clients have come to expect of us. All staff receive on-going training and special refresher courses so that they stay at the forefront of this fast moving industry and we maintain our reputation as industry leaders. We are happy to offer free consultations on any of our treatments.